Madhya Pradesh High Court has disclosed A newest career advertisement for MPHC Recruitment. Organization invites online recruitment application from Skilled & well qualified Indian Nationals for filling up 04 positions of Assistant Librarian in different trades. Education Needed: Candidates must have completed the Graduation Degree (Library Science) or its equivalent with good marks from a recognized University / Institution. Candidates belonging General/All Other Category need to pay an application fee of Rs. 800/-. Reserved category of MP/PwD category aspirants have to pay Rs. 600/- as application fee. Salary & Pay Band: Appointed aspirants for Assistant Librarian posts will get remunerations of Rs. 28,700 - 91,300/- which is offered by Madhya Pradesh High Court. 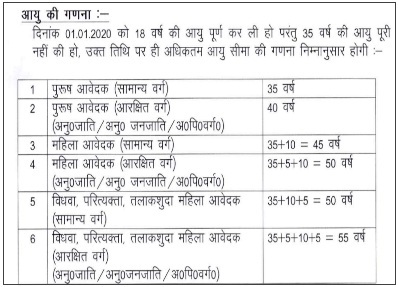 A Written Exam, Interview will be conducting by Madhya Pradesh High Court to select candidates for above stated posts. First of all appliers you have to open the official site of the organization that is http://mphc.gov.in. Last Date of On-line registration : 25-02-2019. Click Here For MPHC Vacancy Notification Link. © Copyright 2018 - 2019Employment Portal | Employment News | Employment Paper. Designed by Bloggertheme9 | Distributed By Gooyaabi Templates. Powered by Blogger.